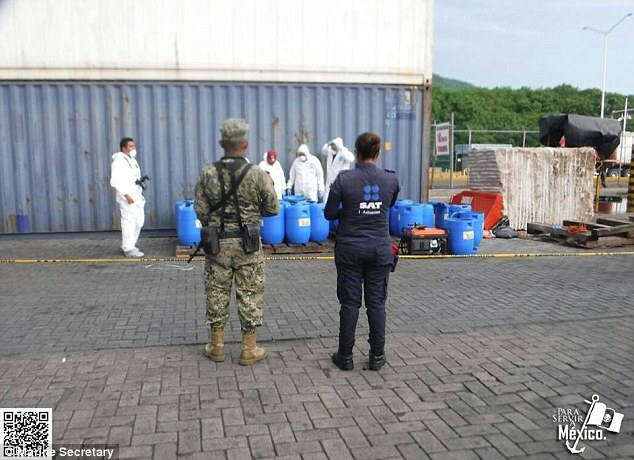 Mexico’s Navy have seized 217 barrels of chili sauce that held a secret surprise – packages of cocaine. The Navy said in a statement Wednesday that the barrels were discovered in the western port of Manzanillo. 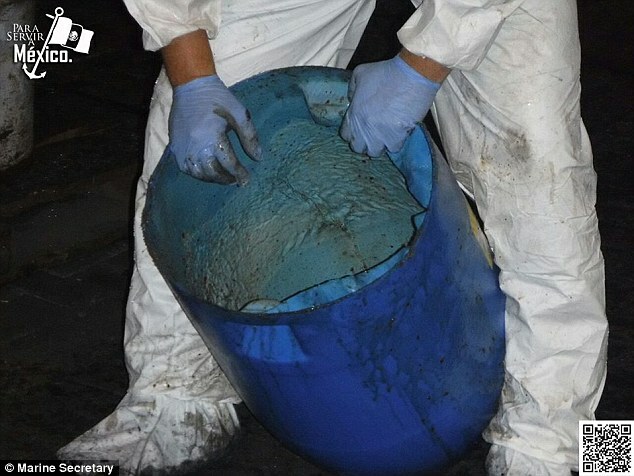 Photographs provided by the Navy show blue plastic barrels each weighing about 130 pounds filled with a red chili sauce. Based on intelligence gathered, the packages were inspected with the packages of cocaine found hidden inside. 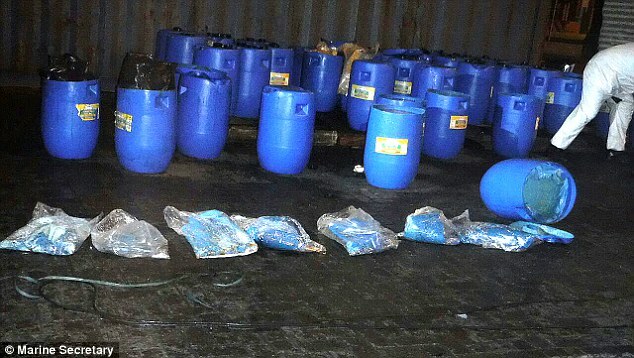 Each of the blue plastic barrels weighed approx 130 pounds. The shipment arrived into Manzanillo in a shipping container from Ecuador but was actually bound for the state of Sinaloa. Sinaloa is infamous as a drug cartel stronghold. It was in January this year that notorious drug kingpin, Joaquin “El Chapo” Guzman was arrested in Sinaloa after dramatically escaping one of Mexico’s most secure prisons months earlier. Want to check out a video of the seizure?